Need high-quality and pocket-friendly Underpinning Services in East Melbourne? Complete Underpinning East Melbourne is the answer! East Melbourne relies on us when it comes to underpinning and other related issues. To have complete peace of mind it is important to know that your home/office building is safe to stay in. And when you start seeing cracks, misaligned windows, sinking floors, or other such issues you start feeling scared. It is scary to imagine that the foundation of your building is not stable and could cause fatal damage. But worry no more. We are here to serve you with the finest collection of underpinning solutions at highly affordable prices in East Melbourne. Complete Underpinning is the place you need to be to get answers for all your underpinning problems. Complete Underpinning East Melbourne provide professional Reblocking, Restumping, Slab Jacking and Soil Stabilisation services. Get a free quote! The works of Complete Underpinning East Melbourne do not stop at restumping and underpinning, we also undertake general contracting projects. We deliver excellent repairs and renovations for homes and offices all across East Melbourne. Moreover, you can get in touch with us for deck renovation, deck construction, verandah construction, and verandah renovation. Are cracking of external brickwork or uneven flooring bothering you? Are the doors or windows installed in your home troubling you, like are they getting jammed or sticky? Well, there might be some issues with the foundation of your home. So, stop bothering yourself and give a call to a reputable underpinning service provider. When you are in East Melbourne, there is only one name that homeowners trust upon and it’s Complete Underpinning. We are into this business for more than 20 years and offer impeccable underpinning services all throughout East Melbourne. Do you need Underpinning services in East Melbourne? We at Complete Underpinning has the finest engineers across the East Melbourne, our engineers visit the site on the same day and create a report of house foundation. The process involves in checking the smallest loopholes and structural integrity of the building. We tend to focus that we get the genuine report, as per the inspection our engineers made the stats of everything which is holding the property. With that we develop the plan to fix everything, all this we do on the same day of the inspection. So, call us and schedule the fastest and genuine inspection report of your house. 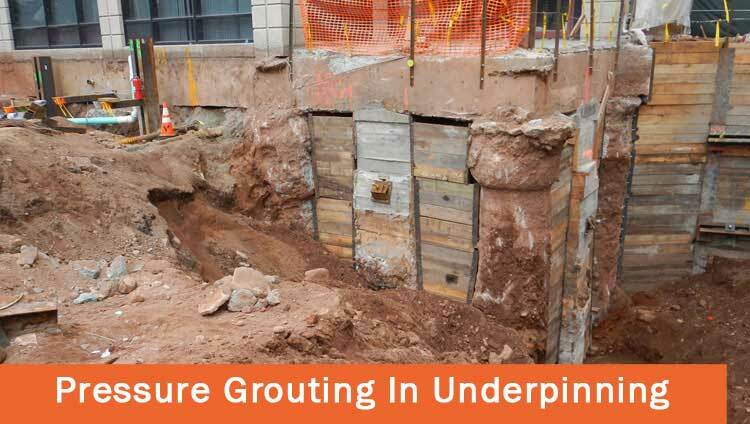 How we perform underpinning at Complete Underpinning East Melbourne? Why Choose Complete Underpinning East Melbourne?